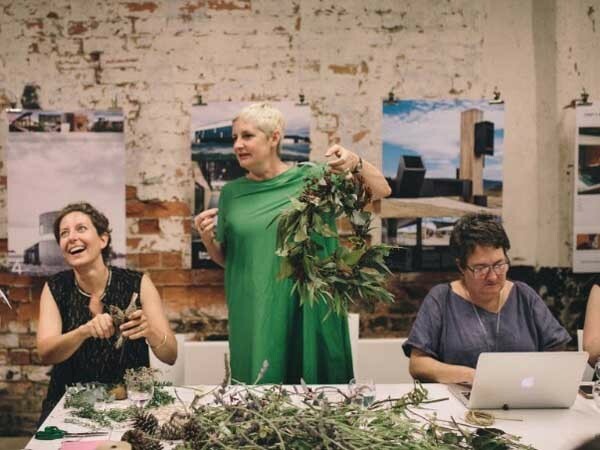 Yvette Breytenbach and Emily Ouston will be the guest speakers at the first Seasonal Salon in Hobart, organised by Parlour and AWS in collaboration with the Tasmanian Women in Architecture group and hosted by Brickworks. Parlour Seasonal Salons help to connect women at different stages of their careers, and to build networks across areas of expertise and interest in an informal and welcoming environment. The Hobart Parlour Autumn Salon will begin with guest speakers Yvette Breytenbach and Emily Ouston setting the scene with a short public conversation. Attendees will have an opportunity to meet new people, swap stories and strategies, form new networks and revive older ones. The Hobart Parlour Autumn Salon will be held on Thursday 27 April 2017, 6–8pm at the Brickworks Hobart Design Studio, 9 Franklin Wharf, Hobart. Anyone involved in architecture and the built environment is welcome to attend the event.